Arrive Ar Airport and transferred to hotel. Check in the hotel and relax for some time. Rest of the day is at leisure for your individual activities and you can also explore the surrounding on your own. Overnight stay at the hotel. 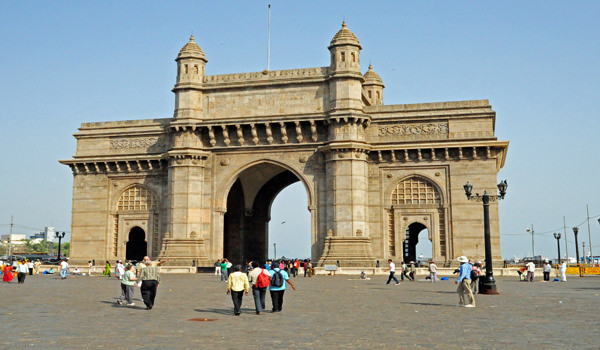 After Breakfast proceed to full day City tour of Mumbai which covers Gateway of India, the heritage buildings of Kala Ghoda, Victoria Terminus, Hanging Gardens, Prince of Wales Museum, Flora Fountain, Dhobi Ghat, evening enjoy sunsets over the Arabian Sea and take a walk tour around Marine drive. After city tour back to the hotel. Overnight stay at the hotel. After Breakfast check out the hotel and proceed to Mumbai railway station to board a train to Aurangabad. On arrival at Aurangabad railway station and transferred to hotel. Check in the hotel and relax for some time. Rest of the day is at leisure for your individual activities. Overnight stay at the hotel. After Breakfast proceed to half day sightseeing of famous Ajanta Caves, one of the few historical and architectural marvels of India. Recognized as a World Heritage Site. After sightseeing back to the hotel. Evening is at leisure for your individual activities. Overnight stay at the hotel. 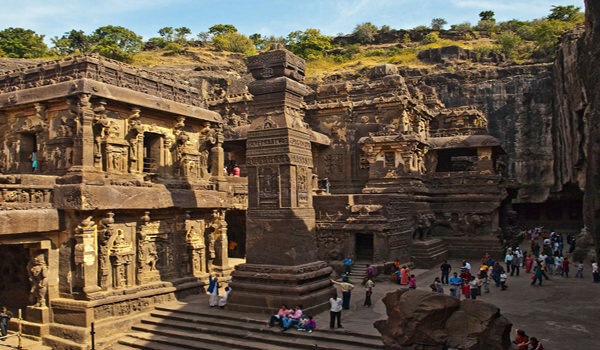 After Breakfast proceed to half day sightseeing of Ellora Caves & Daulatabad Fort. Rest of the day is at leisure and you can also explore the surrounding on your own. Later in evening check out the hotel and proceed to Aurangabad Airport to board a flight to New Delhi. On arrival at New Delhi airport and transferred to hotel. Check in the hotel and relax for some time. Rest of the day is at leisure for your individual activities. Overnight stay at the hotel. After Breakfast proceed to full day city tour of Delhi which covers Red Fort, Jama Masjid, Chandni Chowk and Rajghat. After sightseeing back to the hotel. In evening you can also explore the popular streets markets called Janpath. Later back to the hotel. Overnight stay at the hotel. 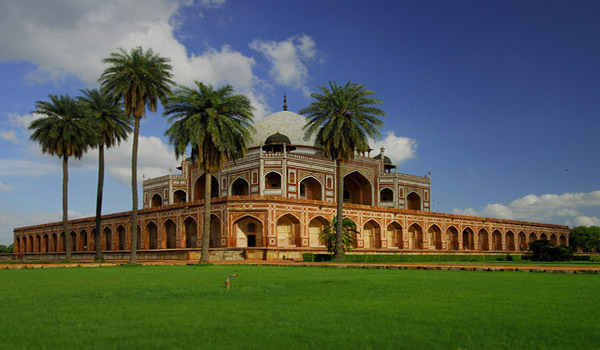 After Breakfast proceed to half day city tour of Delhi which covers India Gate, Rashtrapati Bhawan, Humayun’s Tomb, lotus shaped Baha’i Temple and Qutub Minar. After city tour back to the hotel. Later check out the hotel and proceed to Agra. On arrival at Agra check in the hotel and relax for some time. Evening is at leisure for your individual activities. Overnight stay at the hotel. Early in the morning visit Taj Mahal to watch the sunrise. After Breakfast at hotel proceed to half day sightseeing of Red Fort , Itmad-ud-daulah. After sightseeing back to the hotel. Evening is at leisure for your individual activities. Overnight stay at the hotel. After Breakfast check out the hotel and proceed to Jaipur. 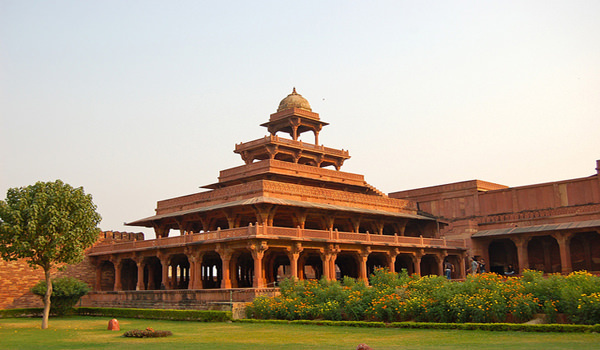 On the way visit Fatehpur Sikri, a World heritage site. On arrival at Jaipur check in the hotel and relax for some time. Rest of the day is at leisure for your individual activities. Overnight stay at the hotel. After Breakfast proceed to full day city tour of Jaipur which covers Amber Fort with an elephant ride, City Palace, Jantar Mantar – a virtual museum about the astronomical observatories, Hawa Mahal and you can also visit Chokhi Dhani an ethnic village resort with an exquisite Rajasthan touch, it has a festive celebration every time in a different manner with a preview of real Rajasthan village culture in fun, entertainment, games, shopping, Rajasthan cuisine, folk dance, music and much more. Later back to the hotel. Overnight stay at the hotel. After Breakfast check out the hotel and proceed to Jaipur airport to board a flight to Goa. On arrival at Goa Airport and transferred to hotel. Check in the hotel and relax for some time. Rest of the day is at leisure for your individual activities. Overnight stay at the hotel. After Breakfast full day is at leisure for your individual activities and you can also explore the cit on your own. In evening explore the vibrant markets of Goa, especially the popular Flea Markets. Overnight stay at the hotel. After Breakfast proceed to half day city tour of Goa which covers Portuguese-built monuments, Old Churches and Temples. Later in evening check out the hotel and proceed to Goa airport to board a flight to Mumbai. On arrival at Mumbai airport you are transferred to hotel. Check in the hotel and relax for some time. Evening is at leisure for your individual activities. Overnight stay at the hotel. After Breakast check out the hotel and proceed to Mumbai airport to board a flight for your onwards journey. All pick up, drop, transfers and sightseeing as per itinerary by Private A/c Indigo car, including all toll tax, parking and driver charges. Personal English speaking guide during your sightseeing in Mumbai, Aurangabad, Delhi, Agra & Jaipur.